How to get to our rental cabins from Moab, Utah. 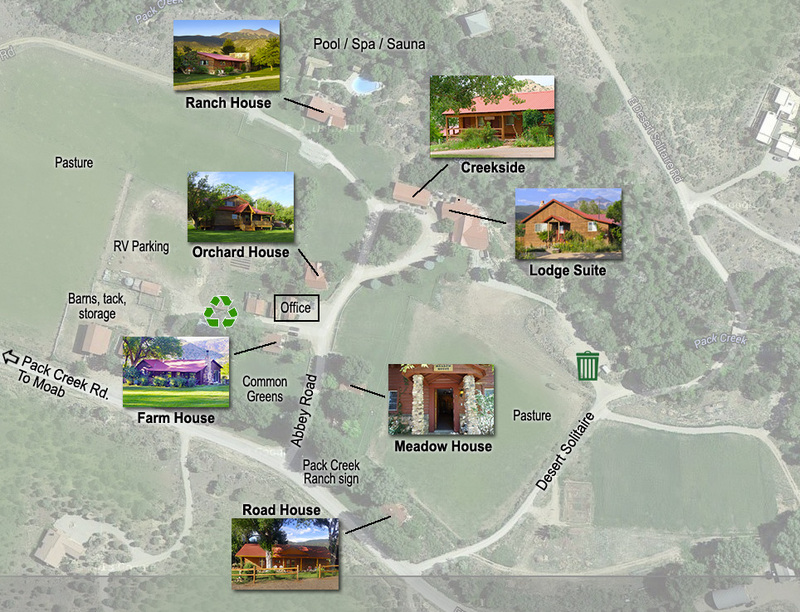 The address is 381 Pack Creek Road, Moab, UT 84532. We're just 15 miles southeast of Moab — an easy drive over paved roads. • From Hwy 191, go south about 8 miles (past the San Juan County sign) and turn left at the signs for Ken's Lake & La Sal Loop Road. • Go 0.6 miles past some construction company sites and turn right at the T-intersection onto La Sal Loop Road. You will go over a cattle guard. • You will soon pass a sign for Ken's Lake and then the road gradually turns left towards the mountains. • As you drive farther up ino the foothills, you will cross another cattle guard. • Look for the first paved road going right at the sign for Pack Creek Road. • Drive another 1.25 miles going past signs for Abbey Road and TTO Road. 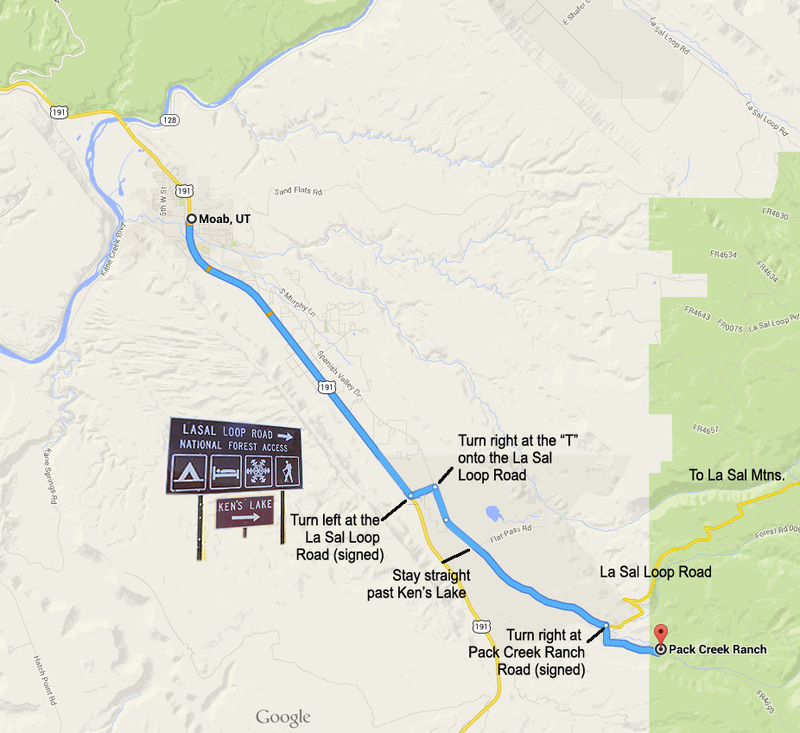 • As shown on the second map below, turn left at the large Pack Creek Ranch sign. • If you're staying at the Road House, go straight past the sign a few hundred feet. Road House is on the left.